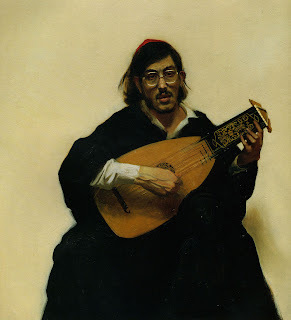 One of my biggest regrets in life is that I never pursued formal art training...not that I didn't have the opportunity but the discipline to do so wasn't there as a young man. 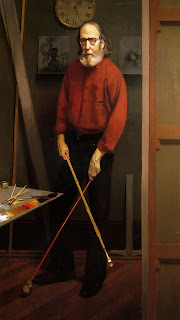 This is why I respect not only the brilliant work but the work ethic of young artists like Joe Bluhm and Jason Seiler who at an early age are constantly focused on improving their already formidable skills...I mean at their age my main concern was trying to find an open after hours club. 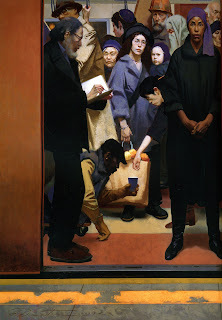 Anyhow that is water under the bridge and so back to my opportunity to study under The Contempory Realist Master Harvey Dinnerstein. 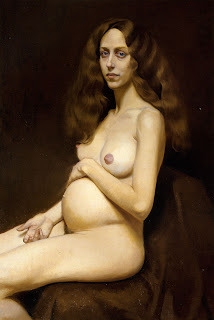 I attended The School of Visual Arts for a semester and a half in 1972 and although Master Dinnerstein was unfortunately not one my Instructors he was teaching there at the time. 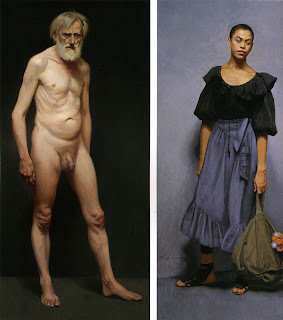 I do remember sitting in on several of his drawing workshops working from live models and being totally in awe(...and Mr. Meltzer was one of the models he usually brought to class). 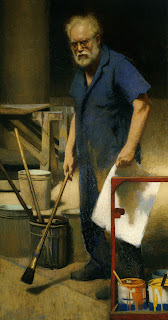 Only now do I realize how I blew a really big chance to learn from a modern master!! 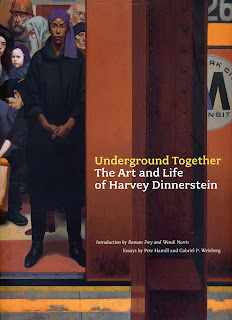 I recently came across "Underground Together: The Art and Life of Harvey Dinnerstein", a retrospective of his life work. 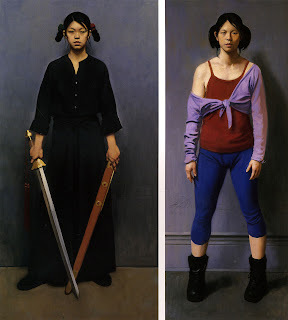 It's a beautiful book and for anyone who loves realist figurative painting it's a must! 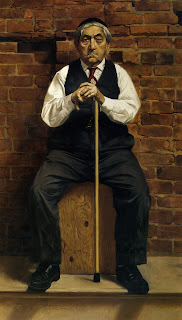 His portrait work is absolutely stunning as is his documenting of the civil rights movement. Hahahaha...this is very true Nelson!!! 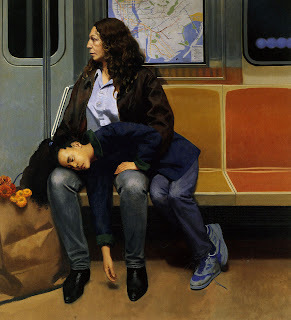 Love the Subway Painting. But then again, I WOULD love THAT. Thanks for introducing me to this artist Vin. Love these.